Business insolvency can involve a range of factors, but there are always common elements. Capital management, cashflow, and business decisions can all be factors. In some cases, there are “no fault” issues, and business contract problems or failures of business associates can play roles in insolvencies. 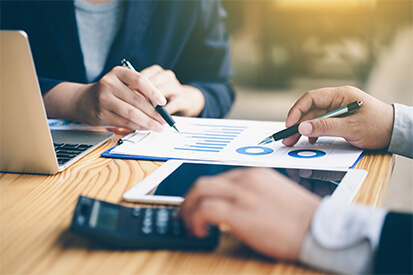 It’s important to recognize that business insolvency and liquidation is preventable and that advice is readily available. Most people are aware of the statistic that over 50% of “businesses fail in their first three years”. The fact is that risks in the first years are the fundamental ongoing risks to businesses, however long they’ve been in operation. Lack of expertise in commercial operations: Business was conducted in a way to increase risk. Lack of knowledge of business practices: Even the most basic business practices are important. Entering into a contract, for example, without being aware of contractual obligations is often a serious mistake. 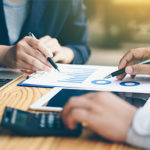 Inadequate resources to cover the costs of making the business viable: To be viable, some businesses require capital and time many businesses just don’t have. Excessive expenditure, usually while trying to build business: Throwing money at business development can be fatal. Failure of clients to pay money owing or to follow through on business projects: One of the most common of all reasons for business failure is being dragged down by another failing business. Competition: Many businesses seriously underrate their competition, which results in business failure. Impractical business ventures: Very common, high risk ventures generally include costs to businesses which put the business in debt. Financial management: Even good businesses can be sabotaged by bad financial management. Credit situations: Borrowing money on the basis of future revenue is a typical reason for business insolvency. Insolvency, when it happens, is actually caused by loss of capital, loss of revenue and loss of credit. A business in the process of becoming insolvent really is like “death by inches”. Although many businesses are all too well aware of their problems, they fail to deal with the issues correctly. Problems drag on and are exacerbated by a tangle of situations, like credit problems, waiting for payments that never happen, accumulating bills and similar disasters. Problems compound and multiply. These common issues, if they’re allowed to continue, resolve themselves into sudden unexpected crises. Liquidation- If a business isn’t considered salvageable, the business is wound up by either application for voluntary liquidation or liquidation processes conducted by a liquidator appointed either by creditors or a court. Direct personal liabilities on business owners depend entirely on the circumstances of the situation. If any breaches of law are involved, these liabilities can make a bad situation much worse. The only way to really deal with the threat of business insolvency is to get professional help. Don’t wait for miracles. Get advice ASAP.